Ronnica at Ignorant Historian is always posting these great Top Ten Reading lists of various sorts and every single post is quite interesting. There is a Top Ten Tuesday meme hosted by The Broke and the Bookish and I keep saying (to myself) that I'm going to participate but I never do. Mostly I pick up on Ronnica's themes and go from there! 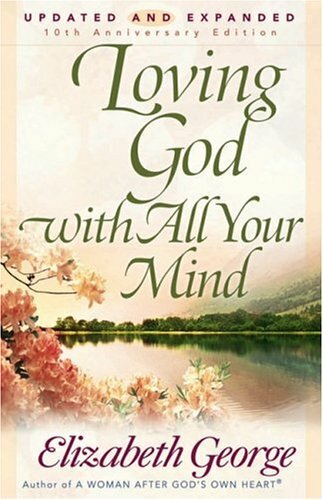 Yesterday she posted her personal list of Top Ten Spiritual Growth books - ones that were particularly meaningful to her in affecting her Christian walk - and I figured now is as good a time as any to play along! This has turned out to require quite a bit more thought than I originally anticipated when I started my list! But here are books that I would say have played a significant role in my spiritual life up to now. 2. Now let us go back in time. 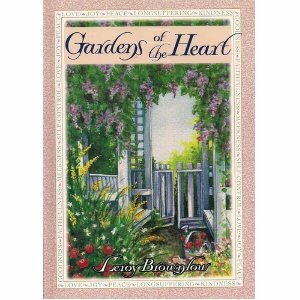 My second choice would be Gardens of the Heart . This is a tiny little gift book that I picked up at some point when I was a teenager. 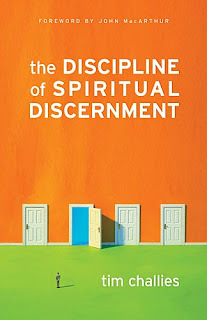 It focuses on the Gifts of the Spirit, offering a devotion-like reading for each gift (i.e., peace, joy, etc.) I read this book over and over again and I distinctly remember going through it and being convicted that I need to be more patient (in particular) or loving (in some instances.) People who know me well might accuse me of not having gleaned a single thing from this book! But it did have its impact and I still have my copy. I should probably re-read it. 3. Gleanings In Joshua , by A.W. Pink. 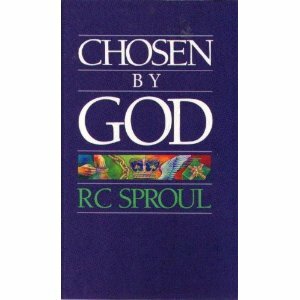 I read this book when I was 15 and it had a tremendous impact on me. (If you know my family, then you should know this.) I learned so much about the Book of Joshua from reading this particular work. 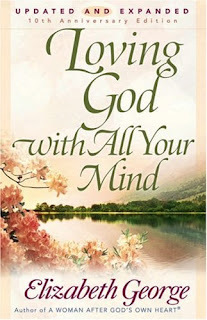 I learned more about God and my confidence as a Christian grew by leaps and bounds by studying this volume. This is still one of my favorite books, although I haven't read it in a good long while. I was hoping to re-read it this Spring. As it is also packed up right now, I'm not certain that will happen. 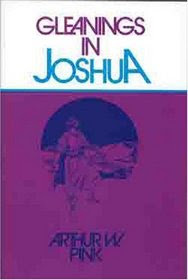 But I look forward to getting back into it because it is an amazing piece of work and insight into The Book of Joshua. 4. I'm admitting what kind of teenager I was with this list. (HA!) At fourteen or fifteen years old, I really loved R.C. Sproul. I also was wrestling through the issue of predestination with one particular friend of mine. (We spent many, many hours searching scripture and debating one another. She was Baptist; I am not.) I realize this issue can draw dividing lines but here 'tis: I do believe in predestination and the first book I read that helped me to sort out the issue in my head was Chosen by God , by R.C. Sproul. 6. 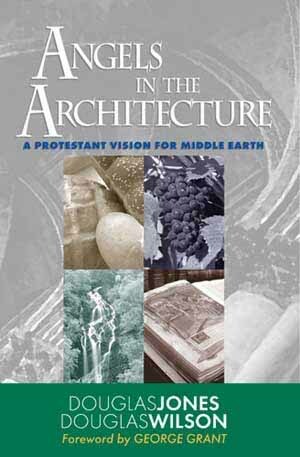 Angels in the Architecture , by Doug Wilson and Doug Jones was one of the first books I read when I moved away from home. For those of you who are not aware, I moved from Texas to Moscow, Idaho (for work) and attended Doug Wilson's church. I only lived in Idaho for 10 months but boy where those 10 months life changing in so many ways! This particular book instilled in me a love for truth and beauty. 7. Choosing Gratitude, by Nancy Leigh DeMoss. 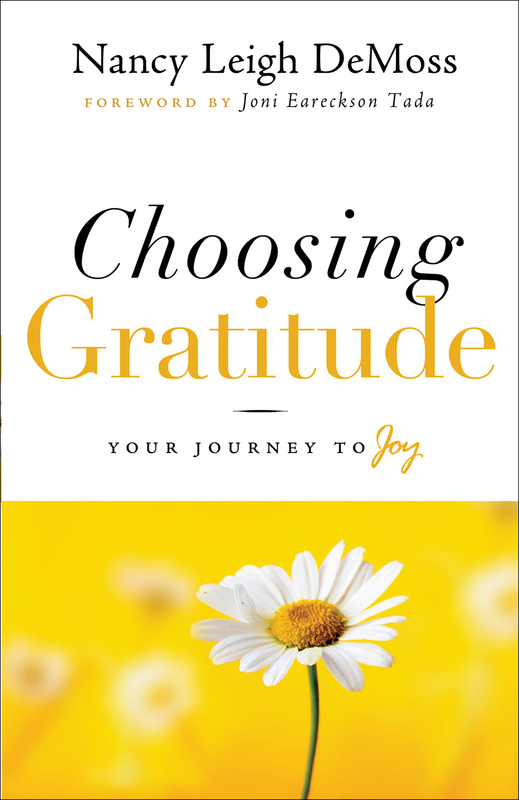 Fast forward into married life and family life and I read Choosing Gratitude (which is linked to my review) at the end of 2009 - one of the most difficult years of our lives. (I really don't want to ever have another year like that so long as I ever shall live.) That was a timely read. I went back to re-read my review of it and am happy ECSTATIC to say that I'm actually grateful for 2009!!!! *I NEVER EXPECTED TO SAY THAT* Still don't care to relive it by any means, but I can look back and see a few things that God was creating in that year. He was making ugly things beautiful. He's still working on some of those ugly things but I can say even in the work that: "It is good." It is perhaps not what I or anyone else might have expected, but the time since 2009 has been a great blessing in a variety of ways. Time offers such perspective. It is really important to be grateful in the moment no matter what your eyes see or emotions feel like. A grateful heart is more easily molded into what God would have it to be. God is good, all of the time. 8. A Way With Words, by Christin Ditchfield. This one is also linked to my review and it was interesting for me personally to go back and read what I said about it. The reason this book was so impacting to me is not really for the reasons I mentioned in that post. One of the chapters in A Way With Words talks about women and gossip and that is the main reason why I think Christian women everywhere ought to read this book. Gossip hurts. Gossip destroys. Gossip is violence without mercy. I remember debating with myself at the time I wrote up that review whether or not I really wanted to get into the subject matter of gossip. It is a subject that really gets my goat. Admittedly it didn't bother me as much until I became a victim of it and now I despise is passionately. Apparently I'm still hot under the collar on this topic and should perhaps stop speaking now. We need to stop gossip dead in its tracks. Gossip should be met with an extreme lack of intolerance and should instantly be shown the door. It is not a friend to Christian fellowship. 9. 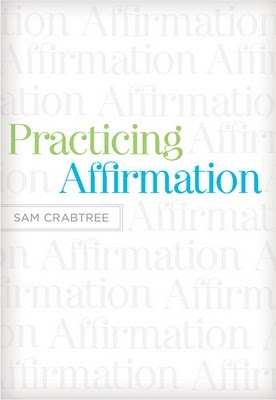 Practicing Affirmation, by Sam Crabtree (linked to my review) was also spiritually challenging for me. Words, words, words!!! Words are my bane and blessing. I have a fountain of them but I should probably only let a trickle of them out. When they do come out, they need to come out in the appropriate manner. This is not easy for me and it takes a lot of dedicated and focused attention. Just because something is hard to do does not mean I'm excused from doing it! 10. 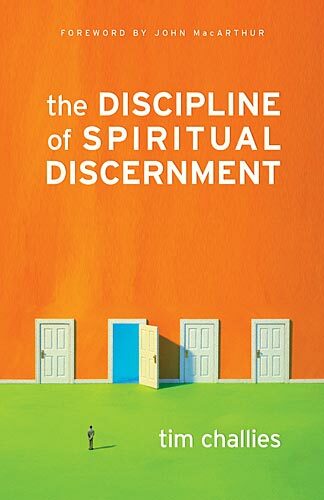 Lastly, I think I'm going to go with The Discipline of Spiritual Discernment, by Tim Challies. (Linked to my review.) It motivated me to start thinking again about subjects that I had been lazy about. It kicked me back in gear, spiritually, at the time I read it. (It's mentioned out of chronological order for purposes of this post but I think it best fits as #10.) The idea in this book continues to drive me in various ways and it also could stand a good re-read. I could probably come up with a few more but this is a rather revealing list as-is. I feel horrible for not re-reading these ten books with some frequency. If they were THAT impacting, why have I not revisited them? There is a problem somewhere. The problem is me! I didn't start this post in an effort to make myself feel bad but I sorta did . . . There's really no one to blame but myself. And maybe Ronnica. This would be a good exercise. I'm not familiar with many of these. I've read several of George's books and liked them. I really like DeMoss but haven't read that title. I actually recommended Choosing Gratitude earlier today for a bookish Bible study...along with Keeping House if we don't study an actual book of the Bible. Most of these I was not familiar with. It's only been somewhat recently in my life that I've started REALLY enjoying and benefiting from non-fiction(with a few exceptions). The second book is really funny to me, because I read one of my momma's book on the fruits of the spirits when I was a teenager. I kept re-reading the chapter on patience, because I needed a good dose of it so bad. There's several of these I'd really like to read. Ooooh, love this idea!! You have some books on this list I haven't read which I'm adding to my (never ending!) list of books I want to read. Hmmm... The only one of your top picks I've read (besides the Bible, of course) is Choosing Gratitude. I'd like to make my own top ten list, tough I've been such a slacker lately that I'd have to reach waaaaay back to come up with ten. When were you in Moscow? I lived there for three years and attended Wilson's church and New Saint Andrew's while there. @The Giggling Gulls - Years. Hmm. I was there in 2003-2004 school year. I roomed with NSA students. (If you want to e-mail me on the side, we can swap names and see if we were there at the same time! ;) I imagine we know many of the same people! Thank you for sharing this! I am going to check some of these out for me to read! Thank you so much for sharing this! How inspiring! God bless! I haven't read most of those, but I'm feeling inspired to make my own list. Lewis would figure prominently in it--he influenced me greatly in college.